Fremont Memorial Chapel is a leading provider of funeral and cremation services in the Newark CA area. We are a proud family operated business with two funeral homes located in Fremont. We strive to cater to all denominations and we honor Veterans. Fremont Chapel of the Roses operates at the highest standards for our clients. 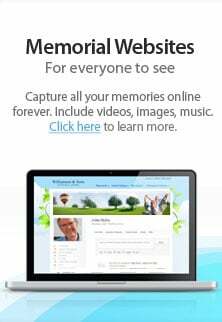 Through this website, we provide resources for the grieving. Whether you are planning ahead or have suffered the loss of a loved one, our compassionate staff will help you begin planning memorial of funeral arrangements. We will cater to any need you may have. As a private company, we provide funeral services with a flexibility and a personal touch to the families that we serve. We stake our entire reputation on offering dignified, high quality funeral and cremation services. Each of our funeral directors take immense pride in offering careful and detailed personal attention to all who choose to consult with us. We are the Rose family and we independently own the Memorial Chapel. There are many options to honor the loved one when a family chooses cremation. Choosing cremation does not prevent a family from holding a traditional service with the body present. Being able to view the body is an important part of the grieving process. It is the first step toward emotionally processing the reality of death. Fremont Memorial Chapel offers the resources to provide comfort to you and your family. Another option would be to hold a Memorial Service to take place after the cremation has occurred. The process of gathering together in a loved one's memory is a respectful gesture and allows for mutual support among the grieving. The funeral directors at Fremont Memorial Chapel can present options for the types of services that best suit your family's needs. Our professional and caring staff offer unique opportunities for families to create healing moments after loss. We will help you discover ways to pay tribute to your loved one in a personal way. At Fremont Memorial Chapel, we offer a wide range of funeral services such as traditional graveside burial, prearranged funerals, and cremation. We also offer traditional Catholic funeral services as well as Indian funeral services. All of the assistance you may need in choosing, planning, and budgeting whatever may fit your personal needs will also be provided. Each of our locations are staffed with funeral directors fully capable of offering friendly and understanding funeral services every step of the way. Our dedication to doing so has long been a source of pride, and we are perfectly happy to welcome all who may need our funeral services and direction at their time of need. Fremont Memorial Chapel is committed to online or group grief support. The practice of gathering at a memorial ceremony or service is part of the healing process for those left behind. Fremont Memorial Chapel has an excellent reputation for high-quality, dignified funeral services for the families we work with. Our funeral directors give personal attention to each detail. We pride ourselves on being meticulous and detail-oriented from the moment of first contact with the family. Fremont Memorial Chapel is the company you can trust for all types of funeral, memorial, and veterans’ services near Castro Valley CA. Call today for more information: 510-793-8900.